Saturday 21st April sees three of London’s favourite soulful house promoters joining forces for one night only. 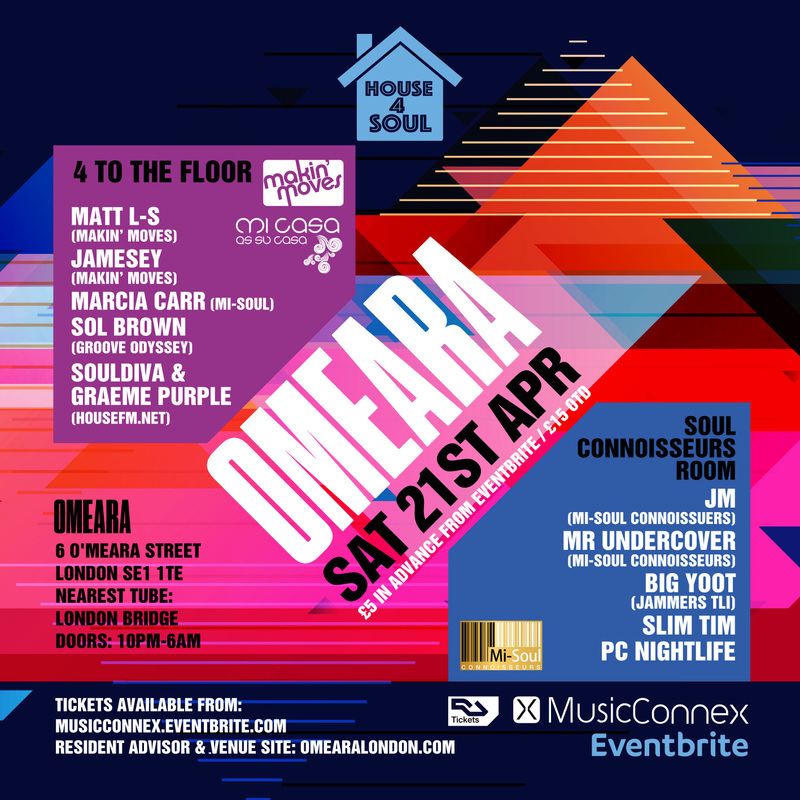 The recently born House 4 Soul alongside Makin’ Moves and Mi Casa joining forces at the amazing Omeara London situated in the heart of London Bridge. All with big reputations of throwing great parties over the years, the guys felt it was the right time to come together to give London a big event that will live long in the memory. Makin’ Moves residents Matt L-S and Jamesey will be joined by Mi Casa regulars Marcia Carr, Sol brown and Souldiva and Graeme Purple in the 4 to the floor room. All this in the house room and we haven’t event spoken about the soul room!! 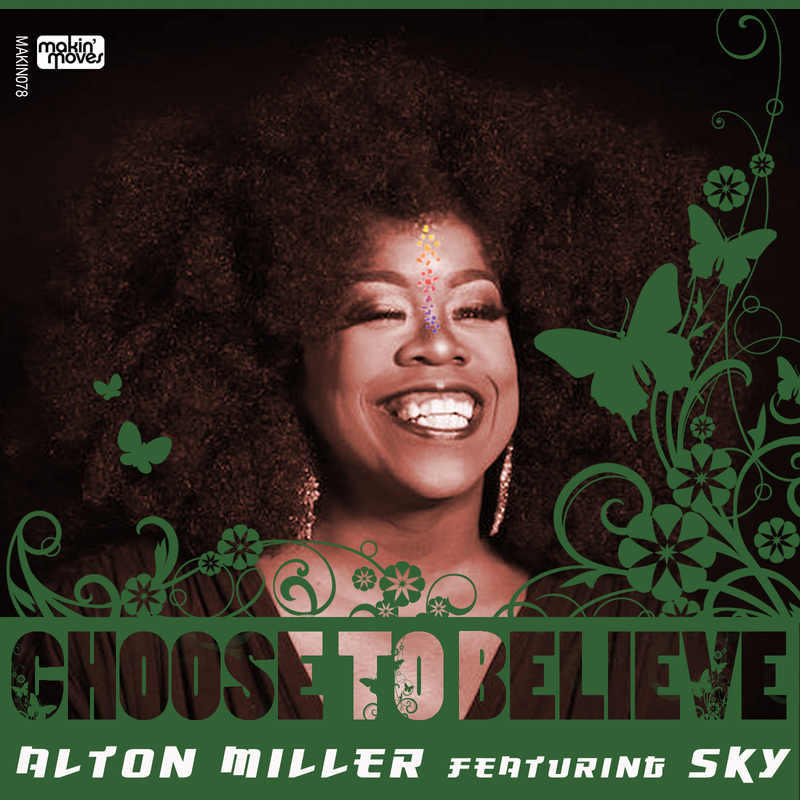 Our next release sees a second single from Detriots Alton Miller and Sky Covington, a soulful gem called Choose To Believe. We loved Alton’s first release that we put out last year and we couldn’t resist this collaboration with Sky who we’ve been an admirer of as both have worked together before on Alton label. Born in Chicago and raised in Detroit, Alton’s early roots in soul music led to an affinity for club culture that was the staple of the motor city and Chicago at the time. Developing his DJing skills under the influence of house music’s founding fathers like Frankie Knuckles, Ron Hardy, Larry Levan and Timmy Regisford, he eventually opened his own dance club The Music Institute of Detroit with like minded friends Chez Damier and George Baker in 1988. This release is available on Traxsource from Monday 12th February.